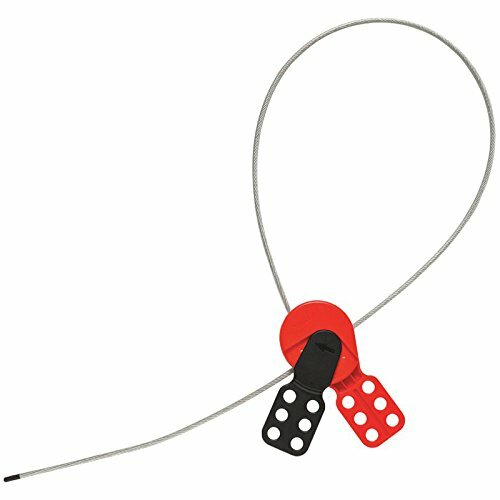 Lockout safety supply’s cable lockout hasp, 3 ft. Cable, provides an effective, multi-purpose solution to lockout compliance. The device measures 1"D x 5"H x 2-1/2"W, and accommodates 6 padlocks with a maximum shackle diameter of 3/8". the hasp is made from durable plastic, with a coated steel cable. If you have any questions about this product by Lockout Safety Supply, contact us by completing and submitting the form below. If you are looking for a specif part number, please include it with your message.